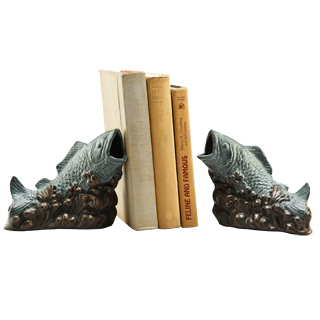 Cast iron fish bookends. Excellent for decorating the home or office. Set of two Fish Bookends.